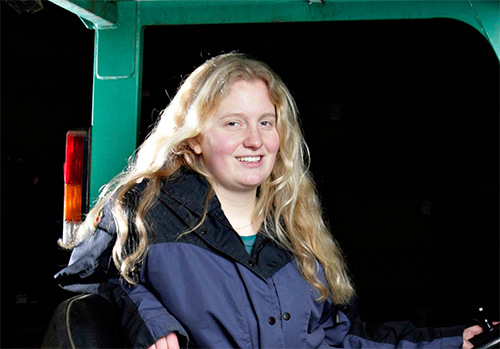 Rachel Kitchen has grown up on her family farm in Lincolnshire . Kitchen Garden Produce specialises in growing shallots and asparagus. It’s a family business in the truest sense of the word – her parents, Chris and Ann, started with just 22 acres in 1979. The farm has always been an exciting and lively place to work. Initially, they reared calves and grew soft fruit for ‘pick your own’. But a conversation with a supermarket buyer inspired the family to change direction and they started growing asparagus and shallots. Asparagus is a good vegetable to grow in volume but has a very short intense season, whereas shallots have a much longer season and the work is spread throughout the year, so the crops complement each other perfectly well. “Every day is shallot season, in that even when we are not planting or harvesting, we are grading, packing, and dispatching shallots,” says Rachel.